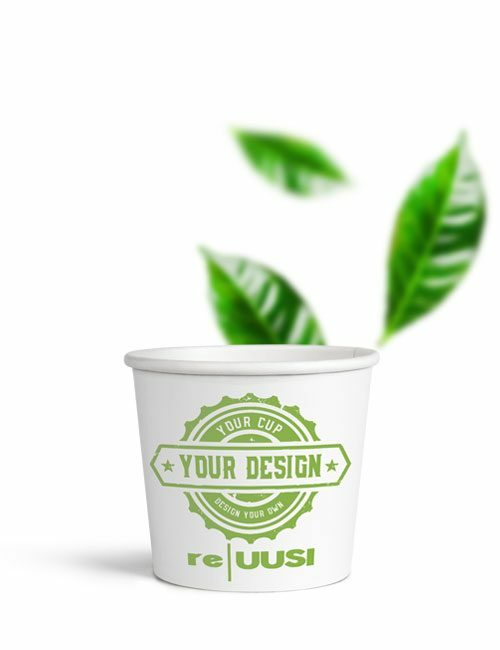 A truly recyclable branded paper cup that’s acceptable by waste plants due to the unique EarthCoating® lining that easily separates from paper. 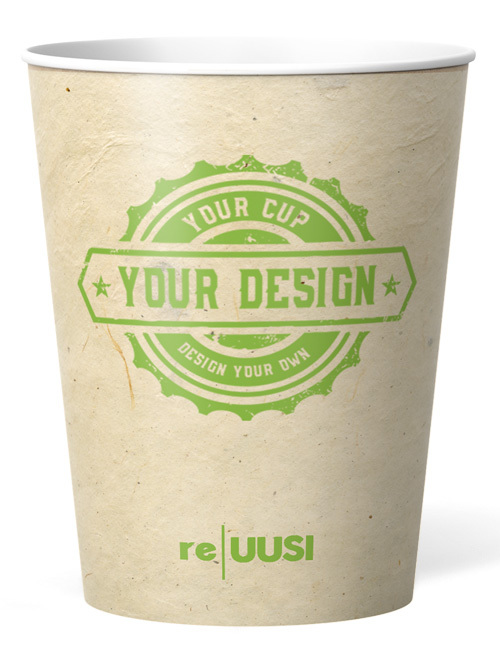 A truly recyclable branded paper cup that’s acceptable by waste plants due to the unique EarthCoating® lining that has up to 46% less plastic, and easily separates from paper in the recycling process. 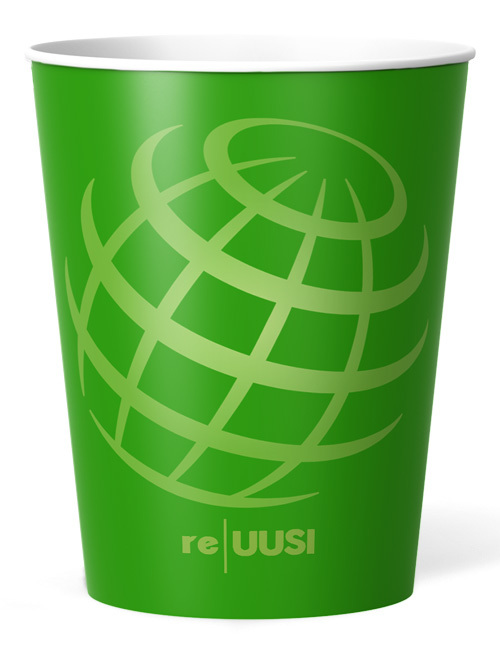 Perfect for serving chilled juices and cold drinks, high quality 310 gm. board stock’s an excellent handheld billboard to showcase your brand with awesome quality all-over printing that advertises your ecological values. Check out our galleries for examples of amazing spot colour finishes and cutouts, matt and gloss options and more. 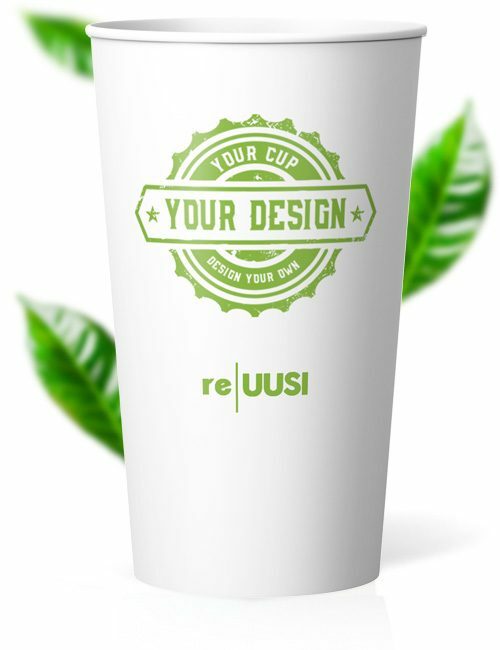 order from just 1000 pcs. 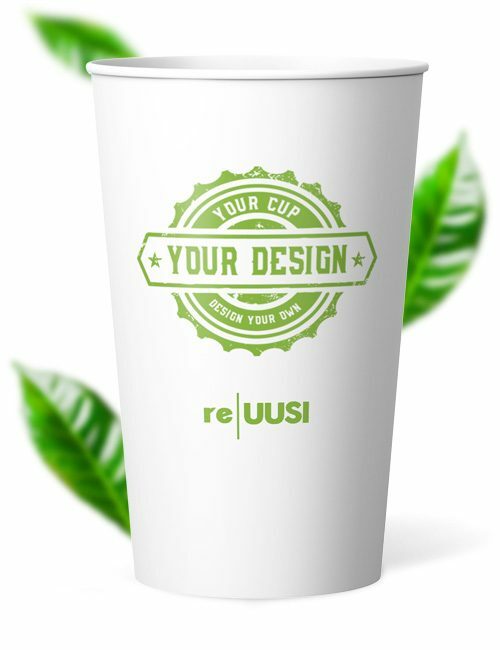 From 1,000 or 250,000 8oz Single Wall re|UUSI environmentally friendly paper coffee cups, we can deliver and design custom printed paper cups for your small and large orders. 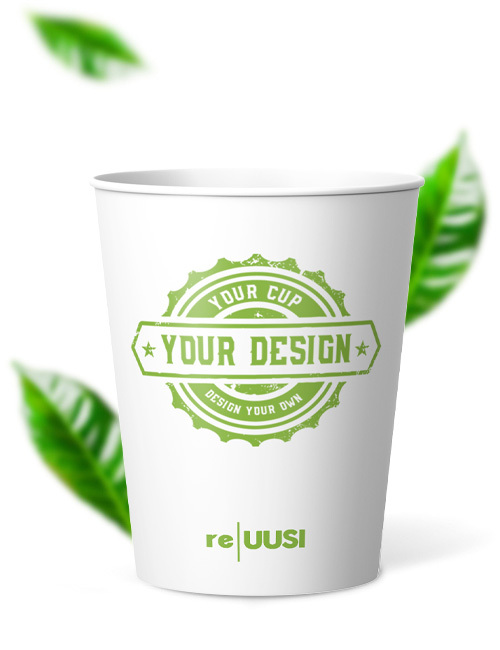 We process your order quickly and your CupPrint paper cups will be delivered to you within 14 working days! 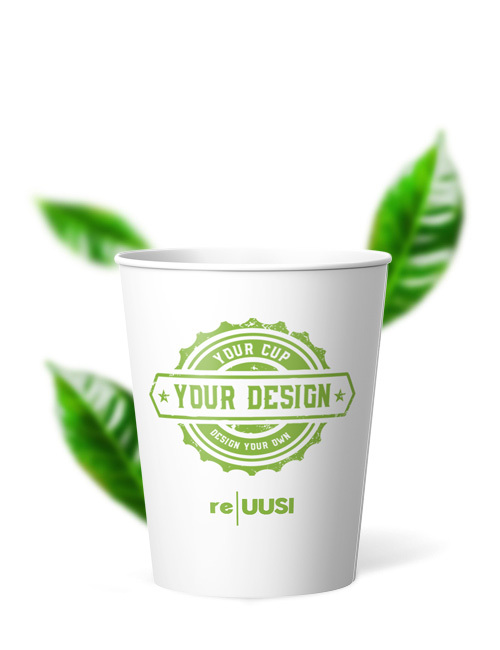 Market your business or event with our custom printed paper cups. For your individual Single Wall re|UUSI 8 oz design we provide you here our rectangular template as PDF for download.